We are excited to launch a Raffle Draw Campaign where you can get a chance to win 1 of 12 Samsung S9 smartphones. Register to Samsung Pay, click here to find out how. Add your Finance House Credit Card or CartNet Credit Card, click here to check the simplified guide. Choose the SMS option to verify your info & sign digitally to validate. Activate your Samsung Pay Account. Use Samsung Pay to spend with your Card, click here to find out how you can. Enter the weekly draw for a chance to win! We will conduct the draw on 15 April 2019 and select 1 winner for each week for a total of 12 winners. With Finance House Credit Card and CartNet Credit Card’s Samsung Pay feature, you can enjoy secure and instantaneous transactions! 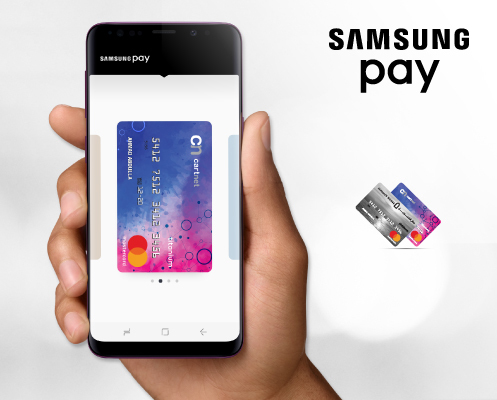 When you setup your Finance House Credit Card or your CartNet Credit Card with Samsung Pay, payments become virtually as seamless as pulling out your phone from your pocket and tapping. Just launch the app, tap your smartphone at the payment terminal and authorize, all with a single touch! All payments made on your Finance House Credit Card or your CartNet Credit Card are encrypted by Samsung Pay; not your card number. On top of that, fingerprint or PIN authorization offer an additional layer of security when you make your payment. Be confident in Samsung Tech’s compatibility. Even when you travel abroad, you can still make purchases at any merchant that accepts Finance House Credit Card and CartNet Credit Card. To view the FAQ’s, click here.